GigaWatt LS-1 MK3 is a reference power cable, coming from the new, top series of power cables, fully hand made. The LS-1 MK3 is a result of over 10 years of experience of our company, the effect of research, careful measurements and hundreds of hours of listening tests. During development of this cable, our main priority was obtaining an uncompromised cable, not looking at the costs related to components and work hours. The LS-1 MK3 represents the forthcoming development of GigaWatt in terms of applying new technologies, and using new materials. It is also a perfect test bed for developing new products and improving existing ones. The unique characteristic of the LS-1 MK3, is the fact, that during the manufacturing process no existing components were utilized. All materials, used in the cable, are selected, designed and manufactured by our company, or by a supplier, to our specification. All steps of the process are controlled, to achieve the necessary quality of the product, and the required repeatability of subsequent units. Creating one cable requires many hours of hand assembly. The cable is made from clusters of single solid core wires, made from purest, oxygen free copper. The conductors are being silver plated and finally covered with Teflon – the best available dielectric, with minimal power dissipation. The conductors are wound together with a combined cross section of 10 AWG for each branch, what creates a massive cluster with very low impedance, capable of supplying even very power-hungry devices. The wound geometry of the cable does also account for significant lowering of the cable’s inductance, while keeping a favorable, quite high, intrinsic capacitance. The whole is covered by a multilayer, very tight screen, which guarantees 100% efficiency in protection against EMI and RFI noise. Different to the lower level power cables we offer, for the LS-1 MK3 we developed a special, loss-free, passive filter from nano-crystal alloys. It is being placed in a precisely chosen spot in the cable, and reduces the parasitic noises and oscillations on the cable output. It is also worth noticing, that the cable is equipped with splendid proprietary plugs, made to our specifications. Those plugs are of very high manufacturing quality, have low connection impedance and long term connection reliability. Their connectors are made from gold plated brass, and were additionally subject to cryogenic treatment and de-magnetization. 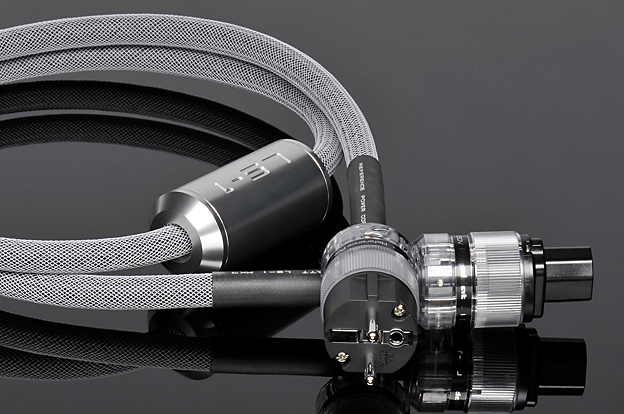 The LS-1 MK3 is recommended as a reference cable for powering the whole system. It can be used best for high current units, but it has also proven its usefulness for powering digital and analog sound sources. The cable LS-1 HC MK3, high power version, is dedicated to supply current to the top GigaWatt PC-4 power conditioner. Power Distributor + Power Cable. GigaWatt PC-2 EVO + LS-1. Congratulations!!! Wojciech Pacuła – Editor-in-chief. “The resolution is one of the most spectacular assets of the GigaWatt flagship cable. This power cable cleans the sound radically, and it works on space like a visit of the health authorities on a restaurant owner. There is mathematical precision in the sound. Each and every sound has its own place and does not influence any other. Equally spectacular was the presentation of the bass. Placing the LS-1 in the test system resulted in deepening of the bass and at the same time, quickening of its reactions. This is a very rare combination. But I must confess, that it was easy to be picked up with the Audio Physic. The Tempo VI are not scarce on the lower octaves, but I never heard them going into subsonic levels. It was like the frequency response would get by a few Hz down, and in this case, it made a difference. When one day I replaced the LS-1 with other power cords, I learned to appreciate a few more assets of the GigaWatt. Fascinated with its detailedness, space and bass extension, I did not notice the coherence and timbre (…). But the change from the LS-1 to DIY cables was not acceptable at all.